Emergency situation arises anytime and an emergency dentist in Bellmore plays a very significant role so as not to put your life and your loved ones life to risk. An emergency dentist in Bellmore refers to someone whom you can call anytime to respond to your emergency conditions. They do not require and follow office hours and of course, there is no prior appointment. When will you Call Emergency Dentist in Bellmore? You may have toothache for several nights now or you have just felt it this time and your sleep is disturbed. There is a need to call of seek the help of the emergency dentist. You may be suffering the pain because of the following conditions: tooth decay, broken tooth or feelings, dental abscess. The dentist will help stop the pain and prevent the condition to worsen. However, there may be cases of dental problems that may be urgent but with some home remedies; and the pain is no longer an issue. But is the pain recurs and becomes unbearable, you really need emergency dentist in Bellmore. Emergency situations need to be attended by professional health service provider since they are life threatening. Take note of these instances: the tooth becomes painful and the face is swelling already; bleeding never ceased after extraction. Your dentist can also be an emergency dentist if he allows you to contact during emergencies and promises to attend to such immediately. This dentist can be called anytime – 24/7. With the kind of services an emergency dentist in Bellmore can offer, some dentists are charging too high in their professional services. You must avoid them since the real emergency dentist does not charge too much but a minimal amount will be enough. Keep the number of the emergency dentist so you can easily retrieve it as the need arises. But make sure the said dentist is dependable and committed to service. There may doctors who claim they can serve during emergencies but when time comes, they are out of nowhere. You need the committed one and can respond right away. Emergency dentist in Bellmore should be also capable of giving first aid before the patient will be submitted to specialized treatment and care. Referrals from friends are important. If they know of a dentist who can respond to emergencies, you can get the number and other contact info. You can also ask your family doctor if he can recommend an emergency dentist. You can also search online for an emergency dentist in Bellmore. 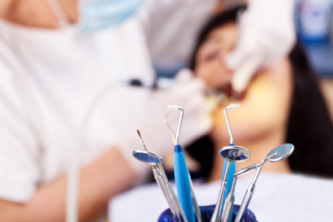 Many dental clinics in the place offer services for emergency cases. Read reviews and customer feedback about the dentist and check on possible complaints against her. The American Dental Association’s website can be accessed too for the list of certified dentists. If the websites are available, you may visit the site and find out if the said dentist caters emergency cases. Take note; do not wait for emergencies to happen before you find an emergency dentist in Bellmore. Do it now and keep the contact details than panic when emergency happens.